We had fun on our quick trip to Jackson. Didn’t get to see all our friends but had fun with the few we did see. Gorman’s shoulder has been bothering him for months, ever since the PICC line was removed. He hardly used that left arm for seven weeks for fear of disturbing the line so it kind of “froze up”. Plus he has ongoing trouble with his neck so after many months (his typical way of proceeding), he finally decided to see the doctor. As a result we are now going to physical therapy and he’s doing prescribed exercises three times a day. Yes, it’s always something. To end this post on a positive note, we are leaving this afternoon to spend several nights in Highlands, NC. The forecast is sunny and chilly, our favorite kind of weather and I made sure we have a fireplace in our room. We’ve been told the leaves should be at their peak, which makes the trip even better. After we return, Gorman will have an Avastin infusion and see our oncologist, Dr. Meshad, on Oct. 30 and the next MRI will be scheduled soon thereafter. But we have lots of fun ahead of us for now and we’re not going to think about the dreaded MRI. This morning in church we both were praying for God to strengthen our faith and forgive us when we become anxious and afraid. We had a great long weekend with our younger son, Grady. Despite dire predictions, the snow ended up being a non-event; just a few snow showers on Friday as we drove from the Denver airport to Ft. Collins. The rest of the weekend was delightfully cool with lots of sunshine. Saturday we went out to the shooting range, where we shot Grady’s 40 mm Glock. It almost took my hand off but I did hit the target. Gorman and Grady were much better at this than I was. Ft. Collins is on the front range, not in the mountains but near and those mountains are always visible, a constant and spectacular reminder of God’s handiwork. 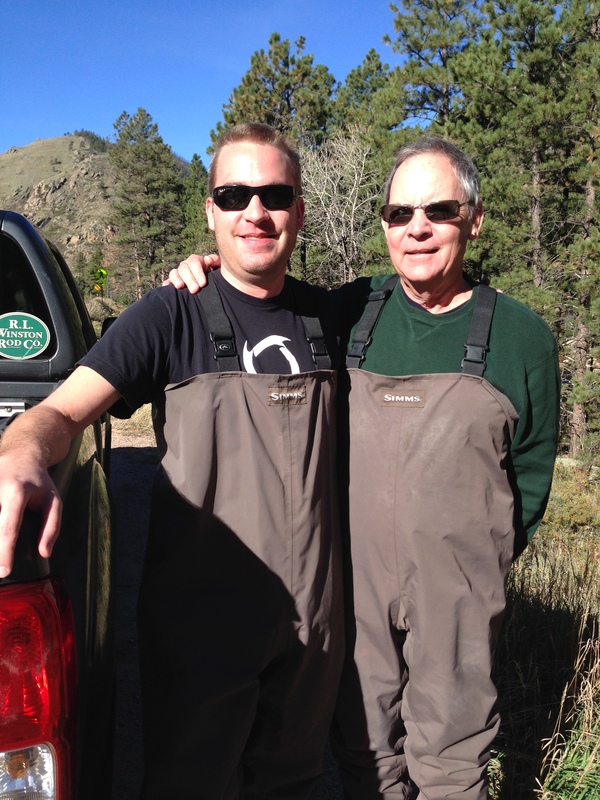 On Sunday, we drove with a fishing guide up the Poudre River canyon, which is absolutely beautiful. I was the family photographer as I hate wearing those waders and Gorman and Grady fished. They both caught several fish, rainbow trout and browns and had so much fun. We got home last night and today we have been running errands and repacking to head to Jackson, MS tomorrow, just for fun and to see old friends for a few days. I may need to start on B-12 shots to keep up with Gorman. and he is very proud to be 69 years old! 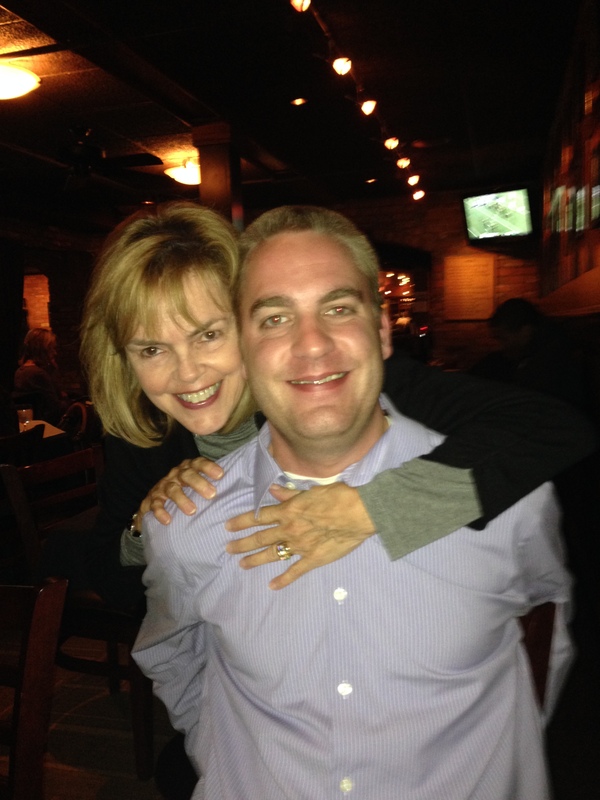 A dear friend from Jackson will be here to spend tonight with us, which makes the celebration all the more fun. No, Gorman is not cooking on his birthday; we’re going out to dinner. And heavens no, I certainly am not cooking. Friends and family have been calling all day to wish him a happy birthday, which tickles him. We have been at our condo at the beach for several days and I barely have time to get the clothes washed before we leave for a visit with Grady. We have a very early flight Friday morning and when we arrive in Ft. Collins, CO, we will be greeted with snow showers! With current a Fairhope temperature of 87 degrees, we’re having trouble packing. 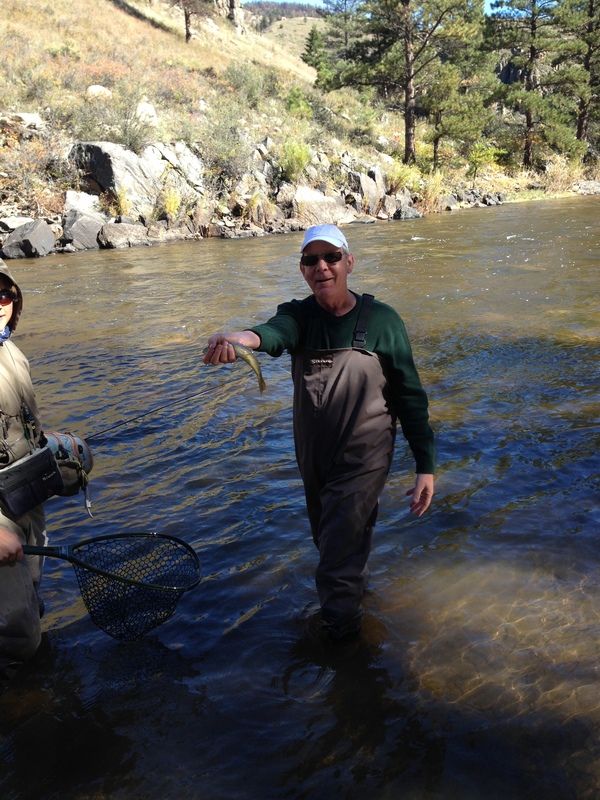 The good news is that it will warm up to 54 degrees on Saturday, when we’ll be fishing on the Cache la Poudre River. Tomorrow Gorman has another Avastin infusion. We always thank God for those and we thank Him for every single day He gives us.